Cortana is to Windows 10 is what Siri is to iPhone. It is Microsoft’s digital assistant which allows you to set reminders for important tasks or also answers your all questions (e.g., current weather and traffic conditions, sports scores, biographies). You can use voice activation to give your computer commands and perform tasks without touching it physically. By default, Cortana is not enabled on your Windows 10 PC, but it doesn’t take long to set it up and running! 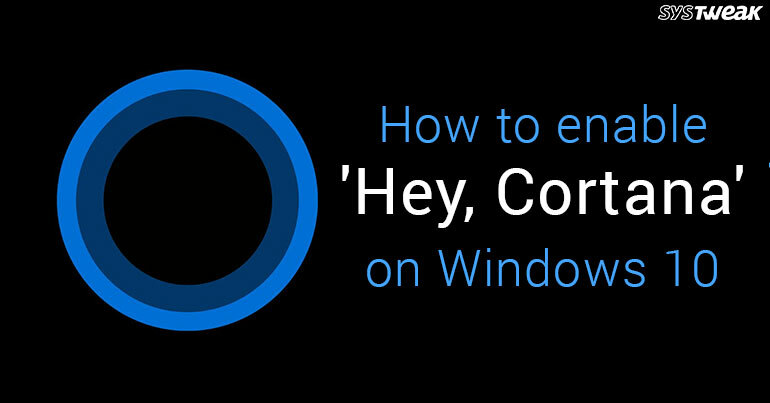 You can follow the steps below to enable Cortana on your Windows 10 computer. Click the search box where a circle icon shows right of the Start button. Click the 3-horizontal line menu icon in the upper left corner of Cortana’s window. Now anytime you want to search the web or know the weather forecast, or may you be interested to know the cricket scores from last night, just say “Hey, Cortana,” and ask your question. It’s that easy. That’s all! If we forgot to add anything ,please leave your comment in our section below.